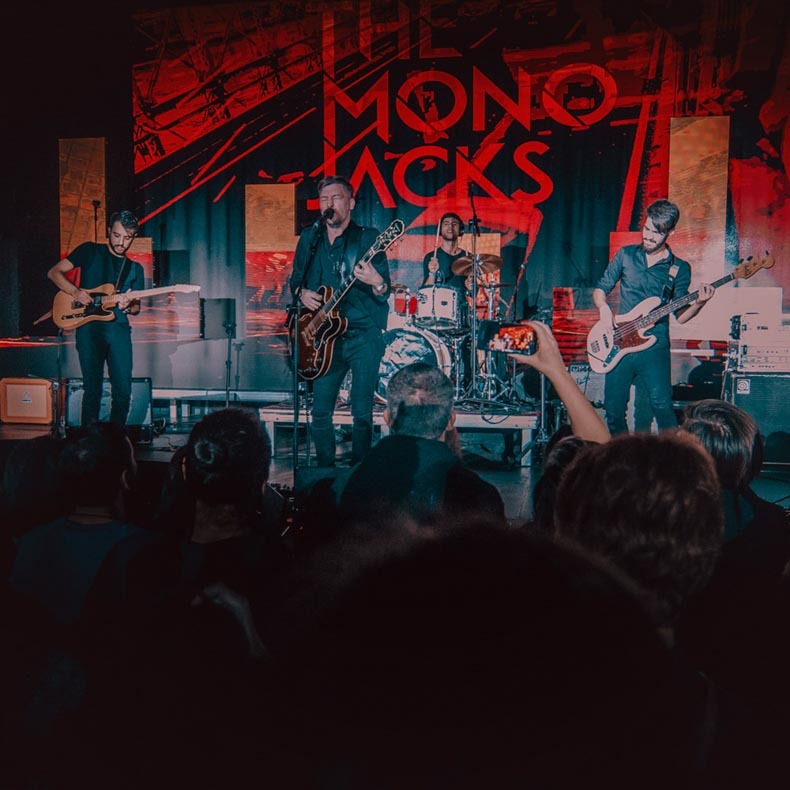 The Mono Jacks are a collection of thoughts and feelings in musical form. You’ll easily feel this when you watch one of their thoughtful, energetic live shows. You'll notice that underneath a layer of pervasive melancholy they have a rawness that captivates and intrigues. The band, founded by Romanian grunge icon Doru Trăscău in 2008, released two studio albums and two EPs so far. The releases have been enthusiastically received by the audience, and the band gained considerable live exposure in the years since its inception, touring in clubs but also playing big festivals in Europe: Sziget, Exit Festival, Eurosonic Noorderslag, ARTMania, Electric Castle. The latest single „1000 de DA” represents our inner children yelling for freedom as we each carve our own paths in life. It can be found on the band’s brand-new second album, “Ușor distorsionat”, released in autumn 2017.